NEWINGTON - As the New Year ushers in change at Hair on the Square, staff hope to continue being the salon local residents choose for their beauty needs. Owner Tammy Selander is like a motherly figure to all who enter the salon at 148 Market Square, having been a constant fixture there for decades. Like any proud mother, Selander had mixed emotions saying goodbye to longtime stylist Nicole Rittucci, who left this week to pursue her other career goals. Rittucci extended a warm thank-you to all her loyal customers. Luckily each stylist has their own talents and services to offer, all catering to the unique desires, styles and needs of every individual who comes in. New clients are encouraged to try all the stylists before they pick their go-to hair professional. Hair on the Square was voted one of the top hair salons in the New Britain Herald’s 2018 reader’s poll. Staff have also made it their mission to help local residents in financial need. They are collecting personal care items and toiletries at the salon through February, to be donated to the Newington Food Bank. Ahead of the 2018-19 school year, free back-to-school haircuts were awarded to local families through the Newington Department of Human Services. With Valentine’s Day coming up, people are encouraged to show their sweethearts and themselves a little love with a beauty gift. Hair on the Square still carries the best-selling Loma products, an organic luxury line. 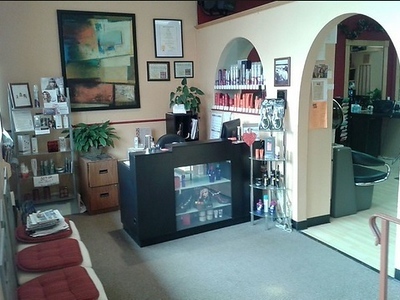 To book an appointment, call (860) 666-2283 or visit Facebook.com/HairOnTheSquareNewington. Posted in Newington Town Crier, Newington News on Thursday, 17 January 2019 13:52. Updated: Thursday, 17 January 2019 13:55.